Hello you lovely ladies and lads of the fandoms! 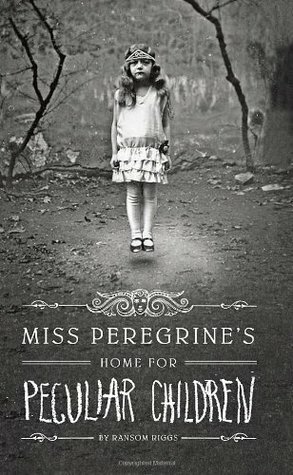 Today I’m bringing you a book that I’m so very excited about; Moss Peregrine’s Home for Peculiar Children. I must be honest, when I first saw this book (on someone’s Instagram) I was hesitant. It looks haunting, to say the least, and I’m not the biggest fan of horror. But more recently I was having a rough day with my phobia, and saw that this book was on sale, so I may as well try it out. I’m so grateful that I did. This book is about a boy names Jacob, who doesn’t believe the stories his grandfather told him, until one day, his grandfather got murdered by one of the creatures Jacob had decided didn’t exist. See, for a late part of Jacob’s life, his grandfather had told him stories of the orphanage he went to, and the peculiar children who went there. They weren’t regular weirdos, these children were peculiar in their talents; they could do things like create fire and lift immensely heavy objects. But after awhile, Jacob stopped believing his grandfathers stories. And then he found his grandfather dead in his back yard, with large wounds. So Jacob started looking into these “peculiar children,” but to no avail. His parents sent him to a therapist, and eventually they all decided that the best plan of action was for Jacob (and his father) to go to Cairnholm to see this peculiar orphanage, and put his fears to rest. It didn’t quite go as planned. Jacob discovered that the peculiar children were real, and that they were the same age they were when his grandfather lived with them. They lived in a time loop; instead of their days moving forward, they relived the same day, over and over again. Their mentor, Miss Peregrine, is what they call an ymbryne. She can transform into a bird (a peregrine, of course), and manipulate time. She create the time loop. He met more peculiar children; Emma, who can create and control fire, Millard, who is invisible, Bronwyn, who possesses great strength, and many others. He learns to care for them, and becomes quite close with them. But he learns that something dangerous is happening. The thing that killed his grandfather, a Hollow, is an extremely dangerous monster that kills peculiars. Hollows are controlled by Wights, which are more powerful and knowledgeable evil beings. While Hollows can’t travel into time loops, Wights can. And they’re attacking ymbrynes. They realize what’s happening too late, as Miss Peregrine is captured and injured. The wight responsible tells them the plan to become rulers of the world, and takes off. With Miss Peregrine injured, the time loop fails, and the children decide that they must “leapfrog” through the time loops to stay alive and fight the hollows and wights. And that’s how it ends. This book is classified as a “young adults novel,” but is quite creepy and a fantastic read. I devoured it to escape my panics, and found within it a cast of lovely characters who I ended up caring for a lot more than I expected to. If / when you read this, be aware that it gets very intense at the end, and the sequel is already available. I’m regretting not picking that up when I was in the book store, because I must know what happens next. The thing that makes this book amazingly unique, is the pictures. 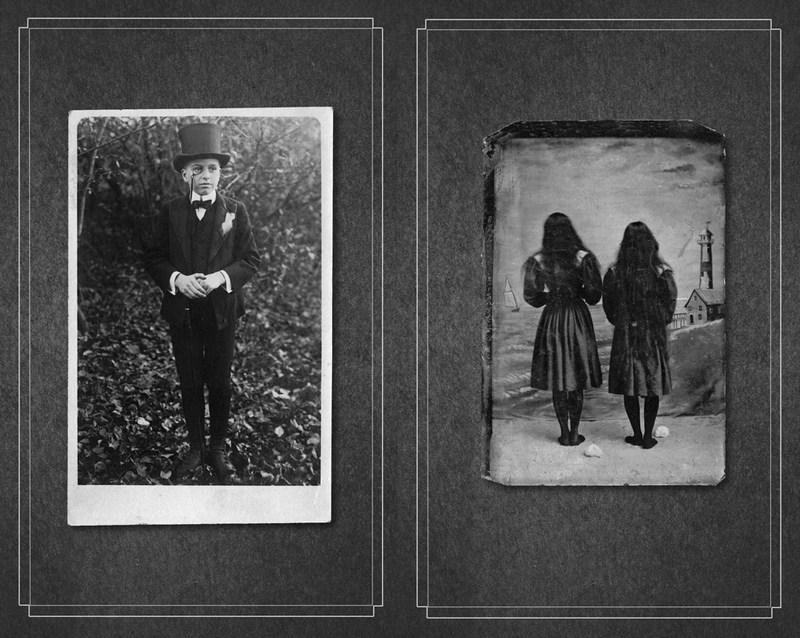 The author, Ransom Riggs, collected the images within, and very successfully used them to tell his story. At the end, he even cites when they were taken, and by whom. I think the images make this story even more haunting, but also easier to connect to. 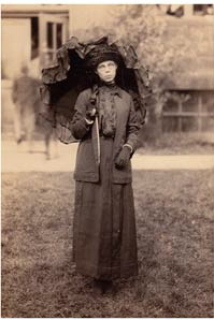 Instead of a cartoonish illustration to show the characters, readers see a creepy old photograph. It makes the book more unique, and believable. So Fangirls and Fanboys, I urge you to read this book. It’s delightful and creepy; with happy and haunting moments. If you pick it up, you won’t regret it. Read on!